Having a Christmas tree inside the home is a tradition that goes back many years. 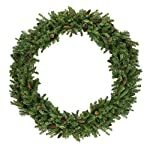 The tradition of bringing an evergreen tree indoors likely originated in Europe. There are many options when it comes to colors and materials of artificial trees if you wish to have one that can be reused for years. Many people also like to cut down their own fresh Christmas tree as a family tradition. 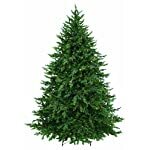 Most people think of traditional evergreens like a fir, spruce, or pine. 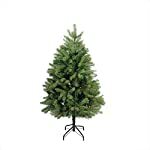 But there are some other types of trees that have been used to decorate homes during the Christmas season. The hawthorn tree blooms around Christmas and can be used as holiday decorations with its festive berries The cherry tree was also occasionally used as Christmas decor due to its compact size and unique style of branches. You may not realize that Thomas Edison invented the electric Christmas lights. During the Christmas of 1880, the first strands of electric Christmas lights were strung around the outside of Edison’s Menlo Park laboratory in New Jersey. The trend didn’t actually catch on until 1917 when the Saddaca family, who owned a lighting store, took the suggestion of their son Albert and decided to sell brightly colored strands of Christmas lights. Artificial Christmas trees weren’t always made of the manufactured materials used today. 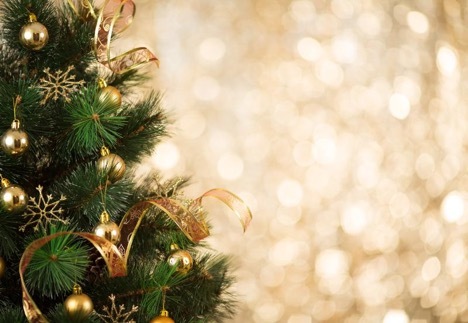 The first artificial trees were actually made with feathers. 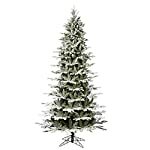 It’s believed that the tradition of creating feather Christmas trees began in Germany in around the 1880s. Feather trees became popular in the United States in the early 20th century since they were sold in many department stores and easily accessible. Logging and large tree removal is understood to be one of the most dangerous jobs you can get. Yet it’s a hugely popular industry, especially in the months leading up to December and Christmas. This danger even applies to professional tree removal of smaller trees like Christmas evergreens. Many families have started growing their own trees for the holidays. If you decide to cut down your own Christmas tree, it’s important to be careful during the process. There are many tree lots or regions that allow to experience the process of choosing your own live tree with the added bonus of having a professional cut it down for you. When removing trees you will often have to use sharp and dangerous equipment that can quickly cause serious complications, which is why we have to strongly recommend using caution, or leaving it to professional tree cutters. One of the earliest Christmas legends associated with holiday trees is related to everyone’s favorite arachnid, the spider. The legend tells of spiders sneaking into the tree in a poor family’s home at night to decorate it with their webs. On Christmas morning, the regular spider webs turn to gold and silver making the tree shine. This legend likely led to the widespread use of tinsel. There are many stories associated with Christmas trees. The first trees were possibly hung from the ceiling and were likely evergreens that were easily accessed in nearby forests. Today, some families still like to chop down their own tree as a family tradition. Artificial trees have been made of many materials over the years but still remain a good choice for anyone who wants a tree that can be used year after year.